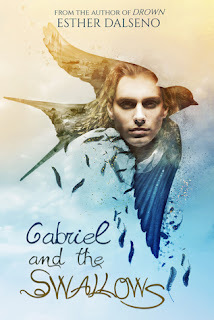 Today I am happy to be apart of this lovely blog tour and share with you stuff about this amazing novel (+ a small interview with her) that just came out! Now, this is my FIRST blog tour so if there are any mistakes I am so sorry and just put them in the comments below so I can change them later! But hopefully there won't be any mistakes! Question 1- What inspires you most when you write? Michelle- For me, it’s always been the readers who inspire me to write. I have all these stories inside my mind, and I write them down so that others are able to experience them—and hopefully enjoy them—too. So, thank you to my readers for being so supportive and inspiring! Question 2- Where do you see yourself in 5 years? Michelle- Professionally, I hope that I’ve written and released a few more of my series. I hope to release four books this year. So in five years, I hope that I’ve released at least 15 more books. Personally—I have absolutely no idea. You never know when a person is going to come into your life and change everything, and I always try to keep myself open to those changes. Most importantly, I want my personal life to continue to be conducive to completing my professional goals. Everything else is just an added bonus! Question 3- If you could work with ANY author who would you want to work with? Michelle- That’s such a hard question because there are so many amazing authors out there! If I was picking an author I’d never met before, then probably James Patterson. I like how he credits all the authors he works with, and since he’s one of the best selling authors of all time, I would love to be able to learn from him. If I were choosing from authors I already know, then definitely Elise Kova! She’s one of my best friends—we get along so well, and she’s really encouraged me to push myself harder than I already did. Plus, I love outlining and editing, and she loves drafting, so I think we would make a great team. Question 4- What's your favorite quote? I love all your answers! And I would love to see you and Elise Kova write a book together! I would be the happiest person on this planet! Also, if any of you readers haven't noticed, these questions relate to my interviews happening this month! click the features section to read all of the interviews! 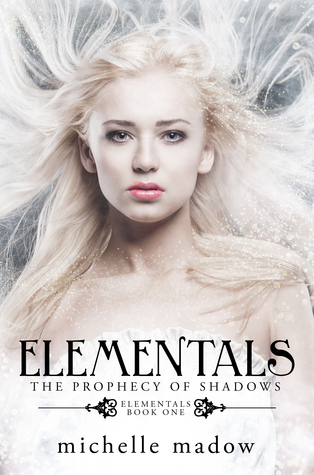 If you'd like to see my review for Elementals: The Prophecy of Shadows, click here!